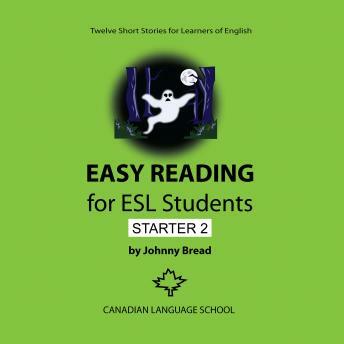 Easy Reading for ESL Students - Starter 2 is a comprehensive reader designed especially for beginning and intermediate students of English as a Second Language. The book was developed and tested by fulltime teachers of English. There are twelve short stories. Each story is designed to engage students in a wellrounded language learning experience. There are vocabulary, comprehension, speaking, and writing exercises following each story. A policeman is going to arrest a man. The policeman looks at the man's face and can't believe his eyes. The man looks exactly like him. Is it a coincidence? A man builds a hangglider and tries to escape on it to another country. The border is guarded by armed soldiers. The soldiers see him. Are they going to shoot him down? And much more. The stories are short (300 - 400 words). Each story and its exercises can be completed in 60 minutes. This book is for everybody who wants to improve their English. It's fun to learn English by reading interesting stories.